Temple’s Musicians – Temple De Hirsch Sinai. A fifth-generation member of Temple, Neil Weinstein has been involved with Temple music since 1991. 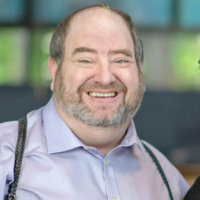 He has worked at Temple Camp, taught in Temple’s religion school for 27 years, and has been leading services since 1999, helping to create both Shabbat Unplugged and Shabbat Atid along the way. He also provides music for smaller congregations around the Northwest and has been honored to visit Oregon and British Columbia as an artist-in-residence. With a passion for training the next generation of Jewish songleaders, Neil has also been involved with the Shir b’Yachad and NFTY Nashir training institutes for high-school aged musicians. Chava is a composer, singer, multi-instrumentalist, recording artist and prayer leader. 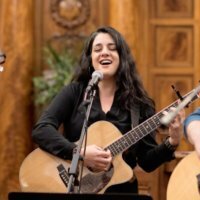 With three decades of experience teaching in Jewish schools and 25 years of prayer leading, Chava is now emerging as a new voice in Jewish music, and is honored to be the Musician in Residence here at Temple. She also tours communities nationally, visiting synagogues, conferences, camps and festivals. Chava is now a fellow with the Hadar Institute’s Rising Song Fellowship led by Joey Weisenberg. Doug Cleveland was born in Tacoma, Washington and was raised in Olympia. He received his bachelor’s degree from the Eastman School of Music, a master’s degree from Indiana University and a doctorate from the Graduate Theological Foundation at Oxford University. He has been on the music faculties of St. Olaf College, Northwestern University and the University of Washington. He is currently director of music at St. Thomas Medina Episcopal Church. He has performed three times on the Seattle Symphony Organ Series at Benaroya Hall. He has recorded several CD’s–his most recent being Douglas Cleveland Plays Rockefeller Chapel at the University of Chicago. Douglas joined us as an interim accompanist during our last High Holidays. He will serve as a Musician in Residence for the High Holidays and throughout the year. Jacki Sullivan was born and raised in upstate New York in the Adirondack Mountains. She received her Bachelor’s of Music Education and Piano Accompanying degrees from Shenandoah University where she majored in piano with a voice and flute minor, and a master’s degree in Music Education from the College of St. Rose. 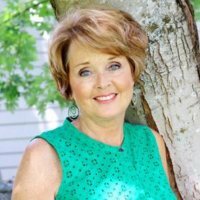 Jackie has been teaching vocal music and music theatre in public and independent schools for over twenty years. She is Founder and Director of Tomoro’s Theatre Stars Summer Theatre Camp and has had a studio for private piano and voice for many years. She is currently teaching at St. Thomas School, and her students recently performed at Benaroya Hall with The Canadian Tenors. She is also serving on the board of Seattle Pro Musica under the direction of Karen P. Thomas. Jacki will join us as a second High Holiday Accompanist and Youth Choral Director. 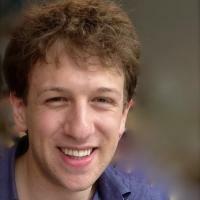 Jacob Finkle, our Adult Choir Director, is well regarded in the community as the Director of the Seattle Jewish Chorale. 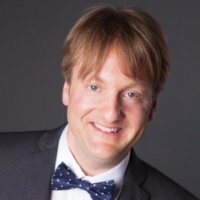 He earned a Master of Music in Choral Conducting and Certification in Music Education from the University of Washington in 2015. He has conducted and participated in myriad festivals and events the world over. He currently conducts the Intergenerational Choir of University Unitarian Church, conducts the High Holiday Choir at Herzl Ner Tamid, and teaches music at Silver Firs Elementary School.